The incorporation of the former RPF soldiers into the resettlement process. The Kigali government under the directives of HE Paul Kagame asked the UNHCR Kigali office to make sure that every 100 Congolese refugees selected by the office of refugee protection and resettlement to include at least 10 former RPF soldiers referred to as DEMOB so that they can be resettled as Banyamurenge refugees from Congo. The purpose of this resettlement incorporation is that once this people are sent to the first world countries as refugees they will work: First, as the RPF spies who will execute the RPF international policies, intelligence in the host countries, intimidating Hutu refugees living in tthose countries, and making sure that they keep the opposition on its toes and even kill those who oppose the Kagame government and make serious threats to itas agenda like in what has been happening in to Hutu and Rwandan opposition refugees living in Canada, Abilene in Texas, United Kingdom, Brussels, Switzerland, and Sydney in Australia. Of course the major benefits expressed by the Kigali government under Paul Kagame is that sending his soldiers as refugees into these countries to spy and eliminate his critics is an easier way to ship his people across the globe without spending on them because the host countries will be using their tax money to take care of these bogus refugees while they perform Kagame's intelligence work. Another thing discussed at lengthy is how the UNHCR can facilitate the Tutsi RPF soldiers who receive all sorts of scholarships whether from the Rwandan government or western education institutions such as Harvard, Cambridge, Massachusetts, MIT, Brandeis, Heller School of Public Policy and Management, Boston, Oklahoma, plus other universities that offer scholarships to the RPF government of which 90% are distributed among Tutsis especially RPF soldiers. Once these soldiers are given scholarships they go to these countries and join various universities but after they clear their studies they dont go back to Rwanda instead they declare themselves as refugees to the immigration of the host countries. A good example is the State of Maine where most of these bogus refugees sent by the RPF government to spy of other genuine refugees have made their home-turf. In Maine has become a backup place for the Kigali government once it sends these spies as bogus refugees they go to Maine so that they are helped to secure refugee status. Maine has become a little Rwandan diaspora spy office where all people who leave Rwanda go to get orientation of what to do. Fierce fight against what Kigali call the "enemies of Rwanda." the enemies of Rwanda implies to all Hutus whether inside or outside of Rwanda and the Tutsis who are members of Rwanda National Congress (RNC) this agenda is given a priority in all meetings that we hold. I must remind the reader that those who attend meetings are mostly Tutsis who work for UNHCR and have been placed by the Kigali government to protect the RPF interests in the region especially using UNHCR to resettle as many Tutsis as possible around the world in order to build a Tutsi community that will ensure that RPF government last forever and participate in the expansionist ideology of establishing the Tutsi empire and dynasty in the Great lakes Region. Other people who participate in the UNHCR-RPF meetings are the foreign sympathizers of the RPF regime in Africa and other organizations that have been established by RPF to safeguard Tutsi interests such as the infamous Mapendo International under ROSE MAPENDO INTERNATIONAL. This organization has established a Banyamurenge network of refugees that collaborate with other US-based organizations to help fundraise money to assist exclusively Tutsi refugees in Africa and resettle them in USA. One of the popular destinations of Banyamurenge refugees in US resettled by Mapendo International is a place called Abilene, in Texas. Here Banyamurenge refugees has swamped the areas and have started terrorizing other African refugees who are not Banyamurenge mostly the Hutu and Congolese refugees living in Abilene and Texas in general. All this is in line with the RPF strategic vision of empowering the Tutsi community around the world and also eliminating or humiliating the Hutu and Congolese refugees across the globe of whom they consider their natural enemies. Rwanda and the UNHCR Kigali office now have finalized plans to include more than 3000 former soldiers both from the defeated M23 and the RPF demobs. These refugees are destined to US in the areas of Texas, especially in Abilene, and Maine. The rest of refugees which is around 20000 are exclusively Banyamurenge refugees and only 3000 represent the wider Congolese refugees. It is so unfortunate that a good work for the United States and the United Nations is now being tarnished by the greedy RPF. Though this process of REFUGEE RESETTLEMENT TO US is meant to help all Congolese refugees to be given a chance to go to US to start their lives afresh, the RPF government with the support of UNHCR Kgali office has been hijacked to benefit RFP agenda. This is how the statistics are represented in the just concluded Congolese Refugee Resettlement triage in Kigali. The former Tutsi military must occupy 10%. This means that former soldiers will be between 2500 and 3000 of those to be resettled in USA in 2014. Banyamurenge Tutsi refugees who comprise both genuine Banyamurenge and Rwandan Tutsis bogus refugees who disguise themselves as Banyamurenge and register with UNHCR as COngolese refugees will comprise 20000. To cover up the scandal we have agreed that Congolese genuine refugees who are not Banyamurenge will share the remaining 3000 spots. 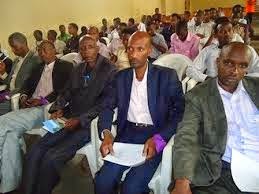 I am writing this as one of the respected Tutsi leader who has participated in all the meetings designed to propagate the hatred strategy of RPF to exclude innocent Hutus and other people who are in the opposition such as members of the Rwandan National Congress (RNC) and others. All Rwandans are called upon to be careful about this long term strategy that is designed to promote discrimination and a politics of exclusionist. One of the things that Rwandan genuine refugees living abroad should know and do is to stand up and write to members of their congress, senators, and religious leaders in their countries to create awareness of these evil plans that our government continue to establish in order to dehumanize some members of our Rwandan communities. Kigali today consider the natural enemies to be both Hutus and Congolese people, therefore the latter should work together in order to protect themselves from this machinery designed to promote division. The RPF separated men from women and put them in separate houses before burning them all down using grenades and high artillery. Thousands fled to Nyacyonga Camp. Shortly after the displaced Rwandans gathered there, Paul Kagame himself arrived at the camp and took a machine gun and shot the kids and women in the neighboring market. Other RPF soldiers killed hundreds of displaced people from Byumba and Kibungo prefectures. People were crucified and pregnant women had their stomach cut open. The foetuses were given to their supposed fathers before they were killed by akandoya. Paul Kagame and his accomplices of the RPF/A(Rwanda Patriotic/Front Army) should be held accountable for the genocide committed against the Hutu people, Congolese and also Tutsi of Francophone(interior) background. How can the entire world turn a blind eye on such crimes-Crimes of genocide?? Paul Kagame is a cold blooded murderer that has killed innocent women,men, boys,girls and pensioners because they happened to be Hutu or Tutsi that never left Rwanda. The west should be ashamed for being in company of such a ruthless killer. I wonder what advice a man like Tony Blair gives to a known killer of innocent African people: that don’t worry, No one will ever touch you?? Just like a classic Fascist genocidal, Paul Kagame has made huge posters reminding people of the “genocide against the Tutsi”, although more Hutus had also been massacred. Its high time Paul kagame and his disciples of doom stoped using the excuse of Democratic Forces for the Liberation of Rwanda(FDLR) to commit more murders and rapes in DR Congo. It doesn’t make sense to label them the perpetrators of the official western propagandist “1994 genocide”, when 90% of FDRL fighters were either children below the age of ten and some were born in DR Congo. So, who should be wanted for crimes of genocide? The answer is Paul Kagame, Bosco Ntaganda and Laurent Nkunda. 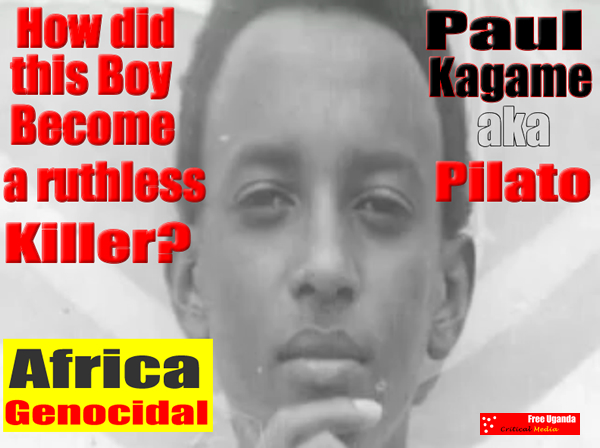 All those harbouring and protecting a known killer should know one thing; that Paul Kagame is not a god but just another cold blooded fascist killer whose time will one day come. In April 1994, the RPF under Colonel Kayonga went from house to house in Remera, Kigali killing businessmen, intellectuals, politicians, and all members of their families. RPF soldiers executed unarmed civilians who fled to Amahoro Stadium. civilians from Amahoro Stadium, Kigali to Byumba. Some of the people it evacuated were summarily executed in Byumba. Among them was Gregoire Kayinamura, vice president of MDR, Norbert Muhaturukundo, employee at the ministry of information, and Sebulikoko, Celestin, businessman. This list is not exhaustive. So far, no RPF soldier has been prosecuted. 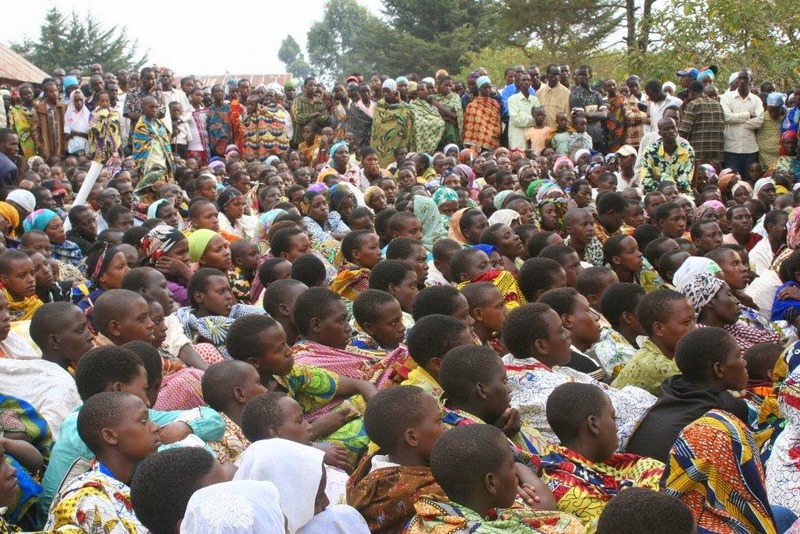 From April 7, 1994 through August 1994, the RPF summoned people to public meetings. After people had gathered to listen to RPF officials, RPF soldiers massacred them. The following terms are reminiscent of these episodes: kwitaba inama or to attend a public meeting; kwikiza umwanzi or to get rid of the enemy, and gutegura or to clean up a place. When people were summoned to attend a public meeting, they were summarily executed. When people were summoned to attend a public meeting to learn how to smoke out interahamwe, they were asked to tie each other arms behind the back using ropes. Then they were summarily executed. States and the UN. According to Human Rights Watch and the FIDH, “From August 1 through September 5, the team visited ninety-one sites in forty one of the 145 communes of Rwanda and gathered detailed information about ten others”. witnessed this massacre. More than 8,000 people died. RPA soldiers removed dead bodies at night and took them at other locations so that international news media and non government organizations could not count them. Massacres of tens of thousands unarmed Hutu civilians, mostly women, children and elderly, by the Rwandan Patriotic Front, in Kanama in October-November? 1997. The Rwanda Patriotic Army accepted the responsibility for these crimes, but none was punished or even prosecuted for these crimes against humanity. To repair the tarnished image of Kagame’s regime, Colonel Ibingira who ordered this massacre was sentenced to one year of under house arrest. massacres and Rwandan Patriotic Army admitted to the crimes. Massacres of hundreds of thousands of ethnic Hutu civilians villagers, mostly young boys, women, children, and elderly in the villages across Ruhengeri and Gisenyi in 1997-1998, by the Rwandan Patriotic Army. Nyamwasa. He was then the highest-ranking military officer in charge of military operations in the prefectures of Gisenyi and Ruhengeri. The international community confirmed the massacres. The following is a non-exhaustive list of cases in which Paul Kagame and his collaborators are implicated in war crimes and crimes against humanity committed since 1991. 1. Systematic execution of the Hutu who attempted to join the RPA Military Training Wings for example in Nakivale, Gishuro, Karama and Gabiro from 1990 up to 1994. 2. Systematic massacres, laying of mines, looting of properties, demolition of homes and other building as well as destruction crops so as to displace the population and create an RPF/RPA controlled territory free of the Hutu. These crimes were carried out for example in the Districts of Muvumba, Ngarama, Bwisigye, Kiyombe, Mukarangye, Cyumba, Kibali, Kivuye, Cyungo, as well as in Kinigi, Butaro, Cyeru and Nyamugari from 1990 to 1992. Military operations were carried out against known civilian targets, in most cases peasants. Known Refugee Camps and densely populated villages and Towns were routinely shelled with 120 mm motors, 107 mm rocked launchers and 122 mm guns mounted on hill tops overlooking such locations. Examples of these incidents include the shelling of Rwibare Refugee Camp in Muvumba, Kisaro Refugee Camp in Buyoga as well as Byumba and Ruhengeri Towns in 1991 and 1992. 3. When the Arusha Peace Talks for Rwanda started in 1992, Paul Kagame launched a deliberate policy to create a Tutsi Land through Hutu massacres, massive population displacement, property appropriation and land grabbing in the North East, East, South East and in Central Rwanda. This is the policy we saw at work in 1993, 1994 and 1995. 4. Routine execution of Hutu prisoners of war between 1991 and 1994. The only exceptions being the ones kept alive for the purpose of show off to Journalists and for the exchange of prisoners of war with the Government side in the framework of the Arusha Peace Agreement. 5. Assassination of Hutu elites including members of the RPF/RPA like Member of High Command Muvunanyambo who was killed in 1992 as well as many civilian cadres recruited in the entire demilitarized zone in Northern Rwanda between 1992 and 1994. Once again, the districts most affected include Muvumba, Ngarama, Bwisigye, Kiyombe, Mukarangye, Cyumba, Kibali, Kivuye, Cyungo, Kinigi, Butaro, Cyeru and Nyamugari. 6. Periodic Revenge massacres against the Hutu population whenever the Regime in Kigali massacred the Tutsi. For example such revenge massacres were carried out in the RPA Offensive of February 1993 covering the entire North of the Country. The offensive was launched over night, by morning several districts had been taken over by the RPA and in the hours and days that followed the Hutu were hunted and short at on sight. In one location in the District of Ngarama, at least 134 people were massacred and buried in shallow graves. 7. From 1992 up to 1994, politico-military cadres were infiltrated behind government lines to carry out terrorist activities especially in urban areas. From 28th December 1993 to 6th April 1994, this time using the RPA Unit in Kigali, more people were trained, arms distributed and an urban terrorist campaign launched against civilian targets in Kigali City. These terrorist groups, among others, targeted high profile politicians including the late President Juvenal Habyalimana, former Minister Gatabazi, Gapyisi and Martin Bucyana. For example President Habyalimana had been a target for assassination between January and April 1994 at a swearing ceremony of the Broad Based Transition Government scheduled to have taken place at the Parliamentary Buildings in Kigali. 8. Counter genocide massacres covering the entire Country from boarder to boarder were launched immediately the genocide started. All RPA Units were under orders to kill any Hutu on sight and for several months, many soldiers did kill as many Hutu as they could. 9. The massacre at Rwesero Seminary on 21 April 1994, which included seven priest who had taken refugee there. 10. The massacres at Kabgayi on 5th June 1994, which included three Catholic Bishops and other Church leaders. 11. The massacres by the RPA Kigali Battalion in the hours and days immediately following the launching of the genocide; for example the killing of Hutu families in locations north of Kigali City like Kimihurura and Remera. 12. The killing of Hutu families evacuated from Kigali in April 1994 when a safe corridor had been created between Kigali and RPF/RPA Headquarters in Byumba Town. 13. The massacres in the Province of Gitarama especially in the Districts of Masango, Mukingi, Mushubati and Tabwe. In the District of Masango alone, at least 500 peasants are estimated to have been massacred and buried in mass graves between July and August 1994. 14. The massacres carried out in Butale Province where the largest number of people killed was at a locality known as Kucya-Semakamba?. 15. The massacres of internally displaced people in camps or in transit to their homes. The most widely known case is the Kibeho massacre at a UN protected Camp in which between 4,000-8,000 people lost their lives at the hands of an RPA Unit. 16. The Directorate of Military Intelligence from 1990 up to 1994 operated Hutu detention, torture, assassination and burial centers in different locations of the country. One of the most notorious locations was at Kinyami District Headquarters where at least hundreds of civilian Hutus were arrested, detained, tortured, killed and buried between April and July 1994.Bodies were exhumed in 1997 by the military, the remains were burnt with diesel and acid and disposed of in the Akagera National Park. Member of Parliament Evalist Burakari was assassinated because he was a witness. The victims, who were mostly Hutu elites, were picked especially from the Districts of Kibali, Buyoga, Kinyami, Rutare, Muhura and Giti. 17. Gabiro Barracks has since 1994 served as a Hutu killing ground. Every time there is a security crisis, the Hutu especially in urban areas and the Eastern parts of the Country, are rounded up, blindfolded, packed on lorries, transported to Gabiro Barracks and killed. The Barracks has specialized killers and tools including iron bars, acid, diesel and a caterpillar. 18. Counter Insurgency massacres carried out in the North West from 1995 up to 2001. Tens of thousands and may be hundreds of thousands of people have lost their lives at the hands of RPA Mobile Forces. Specific examples include the massacres carried out in Kanama District on 12th September 1995 in which 110 Hutu peasants were massacred in revenge for one Tutsi Officer killed by Hutu rebels. Many more massacres took place in the same locality especially between October and November 1997. 19. The massacre of a large number of people hiding in caves in the Ruhengeri-Gisenyi? region during the counter insurgency operations of 1998. RPA Units sealed off the caves and massacred the refugees with explosives. Examples include the massacres in the caves of Bugoyi. 20. Massacres in containers. During routine security operations or counter insurgency operations, the Hutu are rounded up, their hands tied and the heads covered with air tight plastic materials. They are then loaded on to containers which are locked, driven to the Akagera National Park where they are parked under the direct sun and the victims left to die slowly due to congestion, heat, thirst and suffocation. Some of the supported of Former President Pasteur Bizimungu’s Party rounded up in various locations of Gisenyi Province following his arrest were massacred in this manner. 21. The indirect massacres of genocidaires suspects in detention centers. Thousands of genocidaires suspects were deliberately allowed to die off slowly due to inhuman detention condition. In mid 1995, it was estimated that 13 % of over 100.000 detainees were dying due to terrible detention conditions. In Gitarama Prison alone, about 1.000 out of about 10.000 detainees died in the year 1995. 22.The routine execution of genocidaires suspects in detention centers especially in 1997. RPA Units disguised as Hutu rebels attacked detention centers to kill detainees. Examples of such massacres include Bugarama Prison in Cyangugu on 14th April 1997, Muyira in Butare on the 14th of January 1997, Gisovu in Kibuye on the 23rd of January 1997, Runda in Gitarama on the 14th February 1997, Maraba in Butare on 7th May 1997, Gatonde in Ruhengeri in May 1997, Ndusu in Ruhengeri on 10th May 1997, and at Rubavu as well as at Kanama in the same year. 23. Execution of thousands of members of the Ex-FAR since 1994, having surrendered or returned from exile and sometimes with their entire families. 24. Assassination of foreign nationals suspected of monitoring RPA massacres. Examples include a Briton and a Cambodian, both of them UNHCHR Observers killed on 4th January 1997, Fr Vallmajo of Spain killed at Nyinawimana in April 1994, Fr Claude Simard from Canada killed on 17th October 1994, 3 Spanish employees of MEDICOS del MUNDO on 18th January 1997, Fr Guy Pinard from Canada on 2nd February 1997, Fr Curick Vjechoslav of Croatia and Fr Duchamp from Canada in Kigali in 1998. 25. The massacre of Hutu refugees in the DRC between 1996 and 1997 including; about 8,000 by early December 1996 as the refugee camps in the Kivu region were destroyed; 250 in a forest at Musenge next to the Rwanda border at about the same time; 22,500 by the time some of the refugees reached Walikale, Masisi, Shabunda, the South Kivu Mountains and Kalemie in late December; 300 at Mboko and several hundred others at Moba at about the same time; 135, 000 from Walikale and Masisi in transit to Amisi and Tingi-Tingi? in mid January; 24,500 in the Shabarabe-Kalima-Tshimanga-Shabunda? area on their way to Kalemie in early February; 55,000 from Amisi and Tingi-Tingi? to Ubundu by late February, 40,000 in the camps of Kisesa and Biaro near Kisangani between 21st and 26th April and 2,500 at Mbandaka and Wendji on 13th May 1997. 26. The massive looting of movable property, systematic demolition of buildings and appropriation of Hutu properties between 1990 and 1995. Since 1992, the RPF/RPA had a fully fledged department responsible for looting all movable property for immediate use or for sell. These properties ranged from food, medical supplies, to Computers and vehicles. Homes, Shops, MAGERWA National Warehouse, Ministries, NGOs and the UN were all massively looted. Collections centers for the loot included RPF General Headquarters at Rubaya in Commune Cyumba, Mulindi Tea Factory, Byumba Town, Rwagitima Trading Center in District Gituza and Gabiro Barracks. In the case of buildings belonging to prominent Hutu, RPA Field Engineers were under instructions to demolition them. This was done in Kibungo Town, Remera in Kigali City and in Gitarama Town. 27. Assassinations, disappearances and detention of high profile politicians and Army Officers. For example former Minister Seth Sendashonga and Colonel Lizinde Mugabushaka were assassinated in exile in Nairobi; Member of Parliament Evalist Burakari, Asiel Kabera, Major Alex Ruzindana, Gratien Munyarubuga were assassinated in Kigali; Colonel Agustin Cyiza and Member of Parliament Dr Leonidas Hitimana have been disappeared, while former President Pasteur Bizimungu, former Minister Charles Ntakirutinka, Colonel S. Biseruka and others have been detained for several years without a fair trial. 28. Paul Kagame has pursued a long term agenda to occupy East DRC and encourage its secession by creating so called Congolese rebels with a view to realizing perpetual control of the region so as to prevent independent investigation of war crimes and crimes against humanity committed against the Hutu Refugees in 1996/1997, for economic exploitation and for containing Paul Kagame’s perceived Hutu military threats. This is precisely why Paul Kagame re-invaded the DRC in 1998 and indeed the very reason he has twice invaded that Country this year alone. This is the reason why Paul Kagame has just invaded the DRC again. We need to mention that complementary technical, political and economic measures aimed at informal integration of the economies of Rwanda and East DRC have been introduced since 1996. 29. Paul Kagame and his collaborators have since 1994, been deeply involved in fueling the conflict in Burundi through direct incursions to fight alongside Tutsi soldiers and indirectly through the clandestine delivery of military supplies via Kanombe International Airport and by road to Bujumbura. The entire world is very aware that bodies in thousands were washed by River akagera(Eastern Rwanda) to Lake victoria in Uganda in 1994(official genocide year). The entire Eastern,Northern and some parts of Central Rwanda had been under Paul Kagames control from 1992 to 1994. Then, how is it possible that the interahamwe managed to carry all those bodies from other parts of Rwanda and dumped them in River Akagera, who killed all those people if it wasn’t Paul Kagame? Have all your brains left your heads and now reside in your Bums? All those people that continue to protect and pamper a cold blooded genocidal, Paul Kagame, are all part and parcel of the genocide. Like any fascist Propaganda machine, the west has been good at concealing Paul Kagame’s genocide and crimes against humanity. May the Souls of those innocent people that were killed by Paul Kagame and his accomplices Rest in Peace. We will never forget you!!!!!!!!!!!!! My name is Deus Kagiraneza. I enlisted in the army of the Rwandan Patriotic Front (RPF)-Inkotanyi during the Rwandan civil war in 1990. I was an intelligence officer within the Directorate of Military Intelligence (DMI). After the RPF victory in 1994, I was appointed interim Prefect of the Ruhengeri province. Later, I became a member of the Parliament before returning back to the army. Currently I am a political refugee in Belgium. In the course of my functions as RPF official, I witnessed large scale massacres and assassinations by DMI both during the guerrilla war and after we overthrew the Government. Young Tutsis were recruited into Rwandan Patriotic Front from Burundi, Rwanda, and Zaire. Many of them, especially those from Rwanda, were coldly executed on suspicion of spying or being Hutu. Educated young people were particularly targeted. Military officers were afraid that these educated recruits may end up replacing them at the top of the Rwandan Patriotic Army (RPA). Those suspected of being either Hutu or spies were sent to the DMI for further questioning and torture. Later on, they were hit on the headfront by the back of a hoe, called “agafuni”, with instant death result. The use of agafuni was to avoid drawing attention of the Government Army on our hideouts, but most importantly to keep the secret of the murders from other recruits. 6. Jean Jacques MUPENZI (currently Major and Head of Intelligence of Gendarmerie). These officers are all from Uganda, were always the protégés of Paul Kagame, and have led the army from the guerilla period up today. 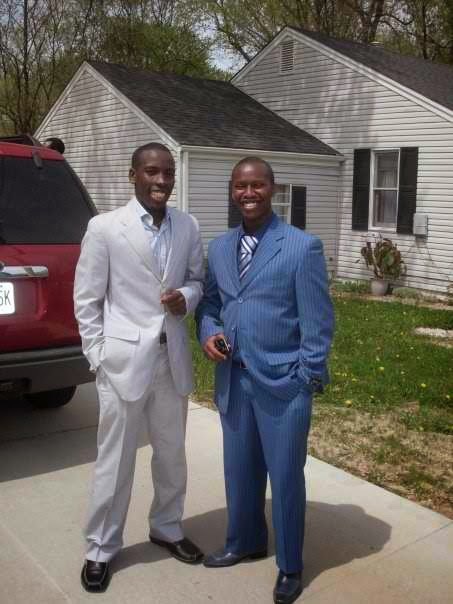 Major Dan Munyuza and Lt.Col. Jackson Rwahama bear the full responsibility for the lives of young Tutsis we eliminated at the Training Wing of Gishuro, Byumba. These large scales physical elimination, arbitrary executions, and murders were committed both at the DMI and within military units. French speaking young Tutsis, sarcastically labeled “Intellectuals” were systematically subjected to abuses and arbitrary killings, to the extent that those from Burundi deserted in large numbers. Their parents had to send a delegation to Paul Kagame to inquire about the killings. Paul Kagame denied and lied about the facts and no officer was punished. We had a mission to physically eliminate anyone, especially the Hutu, who did not support the RPF. We accomplished that mission in Ruhengeri where I was the prefect, and all over the country as well. Most of the prefects and administrative authorities were RPA military officers. The most brutal massacres of Hutus, just after we overthrew the Government, happened in Gitarama and Butare. The Prefect of Gitarama Major SEWANYANA had the bodies of Hutus buried in mass graves in Kabgayi. The Prefect of Butare, Major ZIGIRA, ordered the massacres of Hutu in Save and Kabutare. knowledge of the Head of the Rwandan Patriotic Army. Colonel Ibingira systematically massacred Hutu from Kibungo, Bugesera, Butare, to Gikongoro. He is also responsible for the massacre of internally displaced people (IDP) in Kibeho. The current government committed these horrendous massacres and crimes. I held an important position within the government and participated, under the orders of my army supervisors, in some of these crimes. This is why I have chosen the road to exile and I am ready to provide more detailed testimonies. I offer my unconditional support to all Rwandan loving people who are determined to overthrow the criminal and bloodthirsty regime led by General Paul Kagame.